Commonsense & Wonder: Test or demonstration of Obama's power? Why at 2PM and not 4AM? Test or demonstration of Obama's power? Why at 2PM and not 4AM? It is more than passing strange that the Feds will cut off all TV and radio broadcasts at 2 p.m. EST on November 9. In its wisdom, the Federal CommunicationsCommission (FCC) issued a Public Notice on June 9, 2011 (PDF) that its first ever nationwide diagnostic test of the Emergency Alert System (EAS) would occur on November 9. Reasons sketched out by FCC for the Nov. 9 test date include not wanting to test in the traditional hurricane season and to complete the task before severe winter storm set in. The 2 p.m. test time will minimize disruption during rush hours while ensuring the test occurs during working hours. Some people consider it plain bizarre that such a test would be conducted in the afternoon hours while people are out and about rather than overnight while they are sleeping. America’s Emergency Alert System has never shut down all television, radio, cable TV and satellite radio in its entire lifespan, so there is much anxiety about why it’s being done now. The diagnostic test, will in effect, be a total communication blackout. 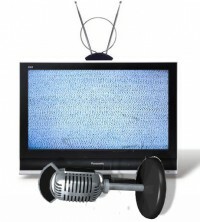 TheFCC is vague about how long the TV and radio broadcasts will be off the air. This is what the Commission says will be affected: television and other radio broadcasters, cable and wireline video service providers, radio and television satellite service providers and “others”. “We anticipate that the test will last approximately three minutes,” the Commission states on its website. “While state and local EAS messages are limited to two minutes, there is no time limit for national EAS alerts” (italics CFP’s). Three minutes is not an eternity for those at home cut off from television and radio reception, but out on the highways and freeways, it can be problematic. Over the 15-year lifespan of EAS, Americans have become familiarized with the beep-beep-beep of the emergency broadcast warning. The FCC doesn’t need to know if John Q. Public can hear the nationwide test of the Emergency Alert System. Their test is merely a housekeeping initiative of their own broadcasters. So why not test at 4 a.m. rather than during daytime business hours? The Commission’s choice of Nov. 9 as the test date is fueling speculation from an uneasy public. Nov. 9 in Europe and in military parlance is 9/11/11. As commenters to various news sites point out, Nov. 9, 1938 is also the anniversary of Hitler’s Kristallnacht and Nov. 9, 1923 the date of Hitler’s failed Munich coup. Undoubtedly the FCC test of the EAS is happening at a time when people just don’t trust the government anymore. Remember Janet Reno threatening the banks? Is this story finally gaining traction? Doing for himself what he did for New Jersey. Yep, this is going to work out well. The rise of radical Islam in the US. Haven't noticed this on the local news have you? HuffPo the way left's roll. Who are the real reactionaries? What the left thinks its okay to say. Your tax dollars at work hating whitey. These kids will be fit only for government jobs. Hard to believe this vile whiner is VP.